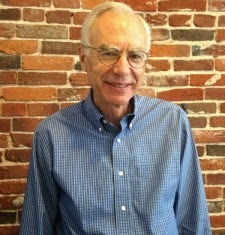 Bill Crane is Of Counsel to Massachusetts Advocates for Children. He works with other MAC attorneys on systemic special education issues, consults to attorneys representing low-income parents and students in special education disputes, and writes for the MAC blog. Bill was a Hearing Officer at the Bureau of Special Education Appeals from 1999 to 2014. This is the first of what I hope to be a (more or less) monthly posting on special education law and practice. In this posting, I begin by reviewing the United States Supreme Court’s first special education decision, which in many ways remains the single most important judicial decision regarding special education. I then briefly cover all of the remaining Supreme Court decisions pertaining to special education. In my October posting, I plan to provide an overview of all of the relevant First Circuit decisions. In subsequent postings, I will discuss other important court decisions, state law and regulations that may extend beyond the federal floor, as well as practice suggestions. I welcome reader feedback, particularly any suggestions as to how these postings could be improved, including what other areas of special education law or practice I might address. In Board of Education v. Rowley, 458 U.S. 176 (1982), the Supreme Court rendered its first opinion regarding the contours of the Individuals with Disabilities Education Act (IDEA) and, importantly, the “free appropriate public education” (FAPE) mandate within it. The Court opined that the IDEA requires proposed special education and related services to be “reasonably calculated to enable [the student] to receive educational benefits.” The phrase “reasonably calculated” has generally been understood to mean that the IDEA does not guarantee any particular result—rather, the educational services proposed by a school district must only be reasonably likely to provide sufficient benefit to the student. The key remaining question, of course, is how much benefit is sufficient under the IDEA’s FAPE mandate. In language that lower courts continue to quote, the Supreme Court explained: “Whatever Congress meant by an ‘appropriate’ education, it is clear that it did not mean a potential-maximizing education.” The Supreme Court added that a student must receive “some benefit”, and several Circuit Courts have adopted this language in a manner that tends to limit the FAPE entitlement. But, the Supreme Court also used the term “meaningful” to describe what education must be provided, and referenced a standard of meaningful access to public education. In many situations where a student’s special education services may appear to be ineffective, an important question to ask is whether the student’s educational program has been sufficiently tailored to meet his or her unique special education needs. "The determination of when handicapped children are receiving sufficient educational benefits to satisfy the requirements of the Act presents a more difficult problem. The Act requires participating States to educate a wide spectrum of handicapped children, from the marginally hearing-impaired to the profoundly retarded and palsied. It is clear that the benefits obtainable by children at one end of the spectrum will differ dramatically from those obtainable by children at the other end, with infinite variations in between. One child may have little difficulty competing successfully in an academic setting with nonhandicapped children while another child may encounter great difficulty in acquiring even the most basic of self-maintenance skills. We do not attempt today to establish any one test for determining the adequacy of educational benefits conferred upon all children covered by the Act." Lower courts (including the First Circuit) have adopted and clarified this principle to mean that under the IDEA, one cannot determine the sufficiency of a student’s educational progress in a vacuum. Rather, educational benefit can only be understood appropriately within the context of what each particular student would be expected to be able to learn if provided an appropriate educational program. In assessing whether educational progress has been sufficient, it is therefore essential to understand (often with the help of an expert) the student’s potential to learn. Judges and hearing officers cite to and are governed by the above-described legal standards, as well as elaborations of these standards found in countless federal court decisions. But, what is apparent from reading many, many IDEA decisions is that a relatively subjective factual analysis is usually determinative in a FAPE dispute. This reflects the reality that each student’s educational needs, in fact, are unique. As a result, what often becomes critical is the judge’s or hearing officer’s understanding of the educational facts and the opinions of educational experts (including teachers, service providers and evaluators) who know the student’s particular special education needs and how those needs should be met so that the student’s educational program will be appropriate. Panel Discussion 10/7 - Register Today! What follows is an overview of the Supreme Court’s subsequent IDEA decisions, listed in reverse chronological order. Although none of these decisions has the breadth of Rowley’s analysis, each of these decisions establishes an important principle regarding the rights and responsibilities of parents and school districts. And, as with Rowley, a number of these decisions provide an important backdrop to the lower court decisions that have filled in much of the details of special education law. Winkelman v. Parma City School Dist., 550 U.S. 516 (2007). The Court held that “[p]arents enjoy rights under IDEA; and they are, as a result, entitled to prosecute IDEA claims on their own behalf.” Some may find the Court’s recitation of parental rights to be useful. Arlington Cent. School Dist. Bd. of Educ. v. Murphy, 548 U.S. 291 (2006). The Court held that non-attorney expert’s fees for services rendered to prevailing parents in IDEA action are not costs recoverable from school districts under the IDEA’s fee-shifting provision. Schaffer v. Weast, 546 U.S. 49 (2005). The Court held that the party seeking relief bears the burden of proof in an administrative due process proceeding, such as the BSEA. Buckhannon v. West Virginia Dept. of Health and Human Resources, 532 U.S. 598, 121 S.Ct. 1835 (2001). The Court ruled that in order to obtain attorney fees as a “prevailing party”, the party must secure either a judgment on the merits or a court-ordered consent decree. Cedar Rapids Community School Dist. v. Garret F. ex rel. Charlene F., 526 U.S. 66 (1999). The Court held that continuous nursing service is a “related service” that the school district is required to provide under the IDEA. The Court also noted that an IDEA dispute “is about whether meaningful access to the public schools will be assured”, thereby repeating the “meaningful access” standard originally articulated in Rowley. Florence County School Dist. Four v. Carter, 510 U.S. 7 (1993). The Court discussed the standards pursuant to which a parent may obtain reimbursement for a private educational placement. Importantly, the Court determined that reimbursement does not necessarily require that the private school meet the IDEA’s definition of free appropriate public education—for example, the private school does not necessarily have to meet the state education standards. There are now a number of Circuit Court decisions (including a First Circuit decision that will be discussed in my next posting) that have relied on this decision to describe more specifically the requisites of a private educational placement that can be reimbursed. (3) the balance of the equities favors reimbursement. Irving Independent School District v. Tatro, 468 U.S. 883 (1984). The Court held that provision of clean intermittent catheterization was a “related service” under the IDEA and not a “medical service,” because the service was necessary for the student to attend school. The services requested did not fall within the medical exclusion because they need not be performed by a physician. The Court noted that “Congress sought primarily to make public education available to handicapped children and to make such access meaningful”.